Just five weeks after claiming his career first Enduro 2 class win at his home GP in Spain, KTM Enduro Factory Racing’s Josep Garcia has secured a double class win at the GP of Italy to move into the lead of the Enduro 2 World Championship. Continuing to impress during his first season of senior class competition, Garcia overcame pre-race sickness to land a memorable double podium topping result at a hot and challenging Italian GP. Establishing himself as the rider to beat during the first day’s competition, Josep surprised even himself with his speed. Faced with less than perfect preparation he nevertheless battled his way to the top of the E2 class results to claim a well-deserved win over Jamie McCanney and Pascal Rauchenecker. Day two saw Josep lead at the end of the first of three laps, before a costly mistake on the extreme test dropped him to second. Giving his all during the closing lap he worked his way back into the lead to claim victory. With it he moves to the top of the Enduro 2 World Championship standings. 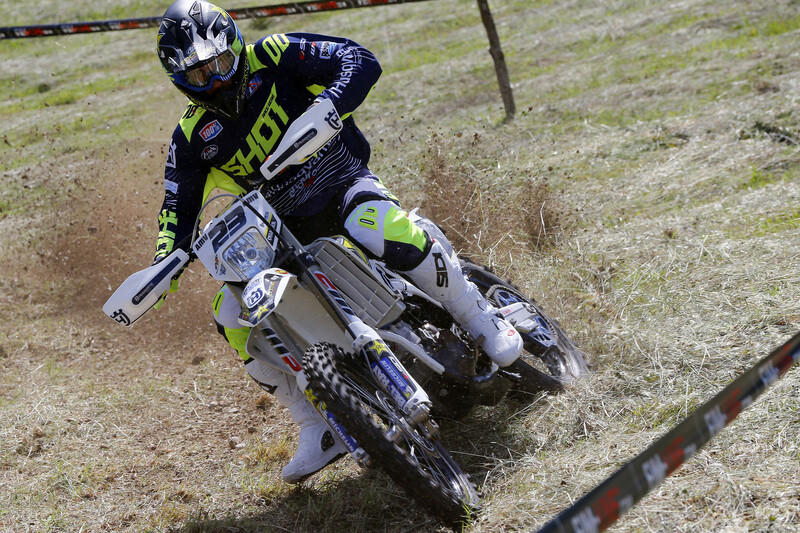 Christophe Nambotin also ended the GP of Italy on the podium, third in the EnduroGP class on day two. 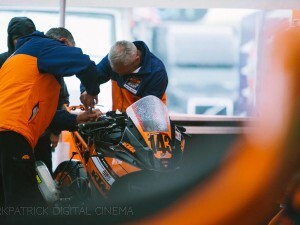 Like many riders, Nambo’ saw a number of mistakes prevent him from earning a better result but nevertheless the Frenchman once again showed impressive speed aboard his KTM 300 EXC. Forced to withdraw from the GP of Spain with tendonitis in his wrist, despite being unable to ride for five weeks ahead of the Italian GP Nathan Watson finished ninth on day one before improving to fifth on day two. Just 10 seconds from the podium on day two Nathan showed impressive speed despite his forced layoff from riding. Competing alongside Garcia in the Enduro 2 class Daniel Sanders finished in seventh and 11th over the two days of competition.